Since the beginning of my pregnancy I’ve been quite diligent with keeping my growing bump moisturised to prevent stretch marks as much as I can. Although I know there’s not much I can do to avoid them if I’m prone to stretch marks, I’ve kept a good supply of Palmers Cocoa Butter Stretch Marks Cream, Bio-Oil and Sanctuary Spa Comforting Night Butter – just for peace of mind. When Secret Saviours contacted me to introduce their range of products for stretch marks during pregnancy, I was very intrigued and keen to try them! The Secret Saviours Premium Set comes as a kit containing a multitasking support band, day gel and a night cream. The set is centred around the belly band, which is designed to minimise the strain on the skin as your belly grows throughout pregnancy. The day gel is meant to be used before putting on the belly band, and the night cream is used on its own before bedtime. The support band is quite interesting at first glance; it has a round belly shape at the front with smooth rubber-like pads on the inside and it’s narrower around the back, but still plenty wide to cover the lower-back area. These ‘rubber pads’ work by dissipating the stresses and strains from your belly growth, and are the key to how the belly band helps avoid the formation of stretch marks. Start by applying the day gel on your bump; that will leave a tacky feeling, which I didn’t find too pleasant, but it’s meant to help the pads on band work. Then, put on the belly band with the pads facing your bump, and make sure it feels comfortably snug over and under your bump. 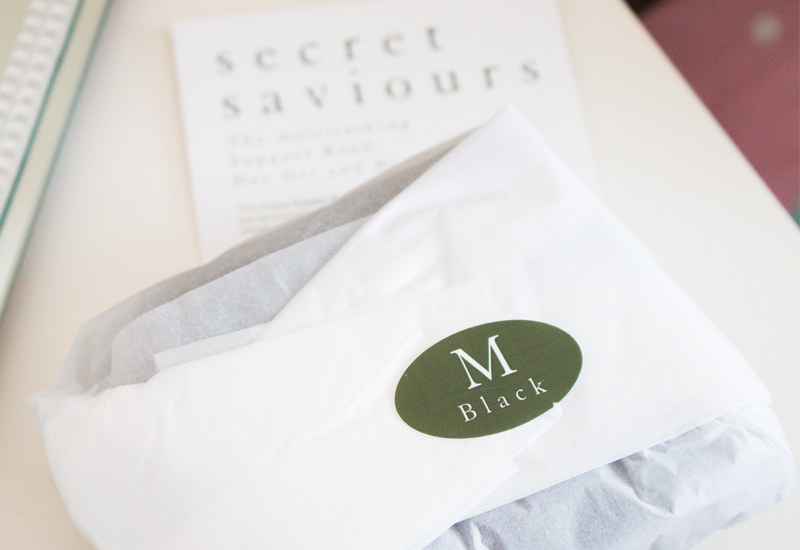 Secret Saviours recommends you wear it throughout the day and take it off in the evening. 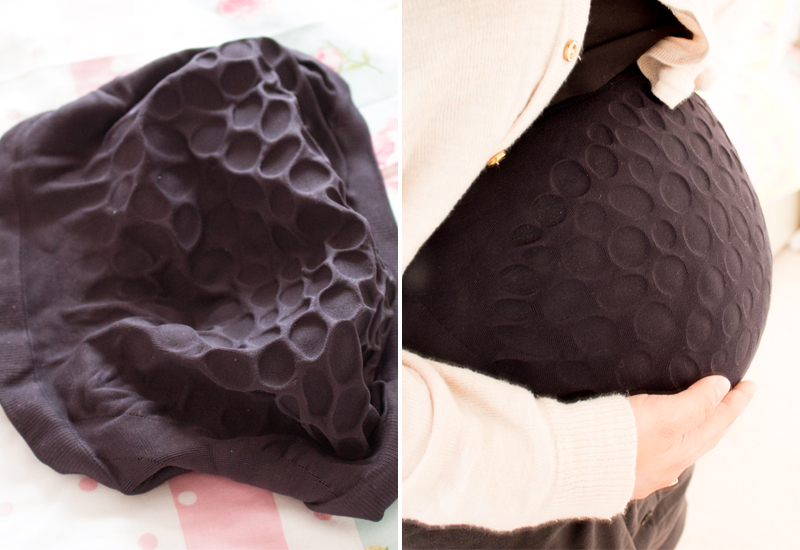 I haven’t be able to stand anything tight around my ribs or belly during pregnancy – not even maternity bras, so I was a bit concerned this would make me feel super claustrophobic and uncomfortable. Luckily, and to my surprise, that wasn’t the case. 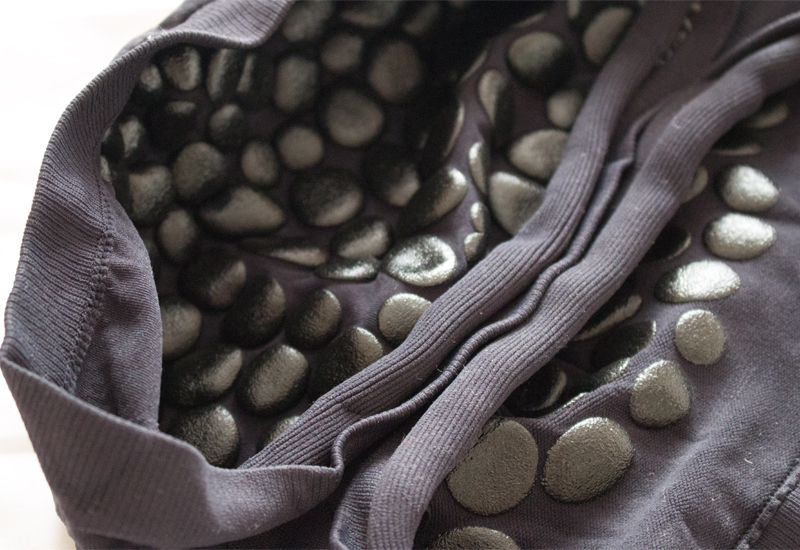 The material is stretchy and sits very nicely around my bump, covering it from top to bottom. Granted, after a few hours of sitting down on a chair, the band starts to feel a bit much below my bump, and when that happens, I just stand up to stretch my legs or take off the band to give my belly a rest. The support band comes in Small (32-40 inches), Medium (40-48 inches), Large (48-56 inches) and Extra-Large (56+ inches). I was lucky enough to receive a Small and Medium, which was ideal for me, as my nearly 30 weeks bump is starting to outgrow the Small band. My bump measured at about 26 inches when I started using the Secret Saviours band at 26 weeks pregnant, and the Small size was very comfortable. At night, I have really enjoyed using the Secret Saviours Night Cream, even on days when I don’t wear the belly band or the day gel. It has a thin consistency that feels nourishing on my skin without leaving any greasy residue behind. My husband really appreciates this, as he likes to feel the baby kicking at night, and he hates it when my belly feels sticky or tacky. 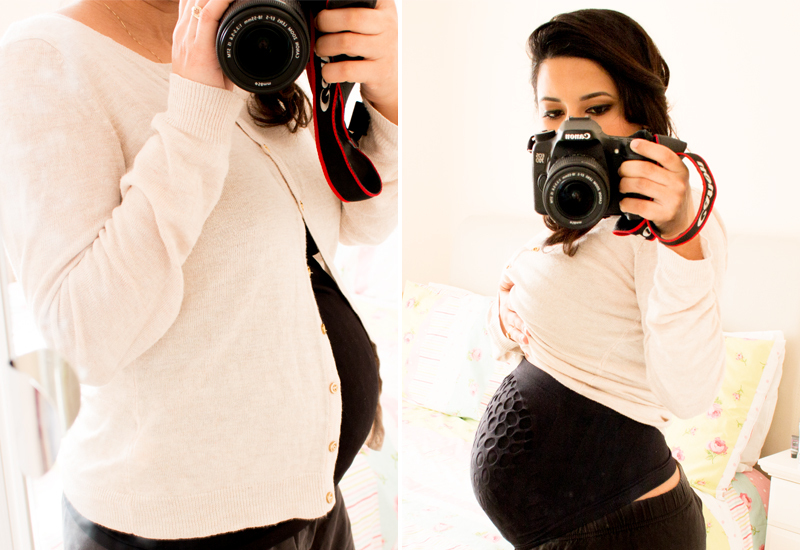 I haven’t been able to see any results from 3 weeks of using the Secret Saviours Bump Support Pack, and I probably won’t know if it has really worked until after my baby in born towards the end of May, so I’ll update you when the time comes. However, I have really enjoyed using this kit because it’s comfortable, the creams feel lovely on my skin and it gives me added peace of mind that I’m doing everything to prevent stretch marks. – Big Exciting News – I’m Pregnant! How interesting. I didn’t know something like that existed. I can only afford to get one size. Do you think that the medium would work even if I am only 34 inches right now (so I can grow into it)?